Charles R. Beitz: The Idea of Human Rights. Oxford University Press, Oxford, 2009, 256 pp. 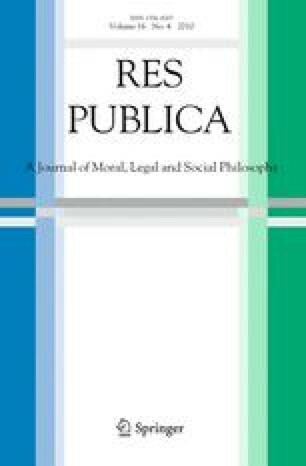 It has taken some years, but human rights have finally gained the serious attention of moral and political philosophers. The Idea of Human Rights is the most recent confirmation of this trend. Between its covers, Charles Beitz, a pioneering theorist of global justice,1 turns to the question of what a human right is, and what makes it different from other varieties of rights. His hope is that a constructive response to this question will allow us to address various sources of scepticism about the modern practice of human rights, including the profligacy of rights claims, their cultural contestation, inadequate enforcement, and ambiguous practical requirements. The result of Beitz’s efforts is a deeply valuable, original, and edifying contribution to a debate that is still just beginning to take shape. My thanks to John Tasioulas, Roger Crisp, Kimberley Brownlee, and S. Matthew Liao, who read and provided helpful comments on earlier versions of this review article.